MP's set for 'obligatory' 11% pay rise. 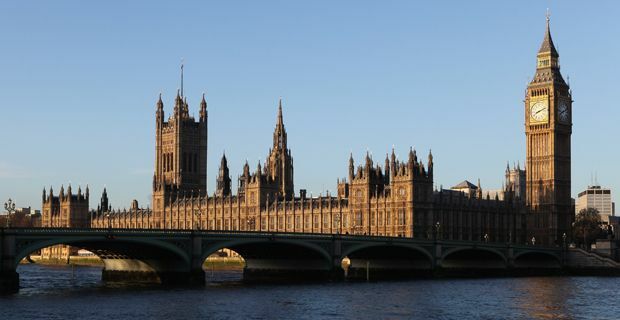 MP’s are set to be awarded an 11% pay rise this week that will see a backbench salary increase from £66,396 to £74,000. The news will loom as a PR disaster for the three main parties, the leaders of which will be falling all over themselves to criticise the move, despite MP’s having no say over the hike. It is, after all, not a good look. When asked if David Cameron would force his MP’s to forgo the rise, a senior Conservative said ‘The Prime Minister has been clear he is committed to reducing the cost of politics and that there should be restraint.’ Which is a resoundingly meaningless statement. With austerity biting ever harder, fuel bills rocketing, an endless stream of banking scandals and swingeing welfare cuts, this move does look remarkably like the establishment feathering its own nest and sticking two fingers up to the masses. The public is unlikely to accept that MP’s had no say in this and expect the explanation that IPSA is fully independent to be widely rubbished across the country. And yet it is worth considering the logic behind the move. The first move of any institution seeking to battle corruption is to raise the basic wage of those involved, thus eliminating, at least in theory, the ‘need’ to find dishonest ways to supplement their income. And that seems to be what is going on here. IPSA hopes to use the pay increase as a means of cracking down on the fiddling of expenses and some of the unjustifiable perks associated with being a member of parliament. Party leaders are unlikely to make such an argument though. They are far more likely to rail against it theatrically while increasing income inequality continues unchecked way beyond an 11% pay rise for MP's. And in such a noisy attempt to clamber into a very metaphorical hair shirt and squat the moral high ground, will obfuscate the real issues in their desperate scramble to look like 'we're all in it together'. Is £74,000 really so unreasonable when using comparable jobs in the private sector as a measure? The answer might be no if only MP’s were actually doing their job and not presiding over a growing disparity of wealth and the misuse of public money to subsidise corporate greed. The real issue here is not whether an 11% pay rise for MP’s is a disgrace, but the blind eye turned to corporate theft, the sanctioning of win-win situations for private companies allowed to profit wildly from public services and the apparent leeway given to a small elite of vested interests. Perhaps we should worry more about the unspoken understanding that many MP's will end up with directorships or lucrative 'advisory' roles within that elite than about a pay increase that seems almost designed to give politicians the opportunity to reject it.